Horseradish Deviled Eggs for Jenny’s Baby Shower! Surprise, Jenny! I made you eggs. Get it? Like, the eggs in your uterus that became a human? AND they’re deviled, since you’re having a boy human. I MEAN RIGHT? Ya know, I’m really diggin’ on the idea of a virtual baby shower like this, because it eliminates the possibility of me drinking a tad too much “punch” and rubbing your belly like I’m massaging a raw chicken. True, I’ve already done this in real life, and had to be escorted away from you by the authorities, yes, okay, but it was only out of utmost adoration! And fine, it was more than once, and my wrists were bruised for a week from the cuffs, but look how safe you are from me right now! You’re welcome. I hope you enjoy this bebe shower from all of us who think the world (and beyond) of you. Please let me know if you’d like me there for labor and delive- No? Wow, okay that was a quick answer. Scriddly scroll down to see what everyone else contributed to the sweet and fabulous Jenny’s baby shower! Once your eggs are hard boiled (we do 11 minutes in uncovered boiling water, then in an ice bath for 5 minutes), peel and slice them in half. Carefully squeeze the yolks into a small food processor. Add the yogurt, horseradish, pickle juice, mustard, dill, and the salt and pepper. Blitz blitz blitz until nice and creamy. Taste it. Are you dancing? Yeah. Transfer the mixture to a small sealable plastic bag. Cut a teeny hole in the corner, and squeeze the filling into each egg half. Garnish with more fresh dill and see how little it takes for like, ALL of them to disappear. You rule it, Jenny! And your baby boy will too. 101 Responses to Horseradish Deviled Eggs for Jenny’s Baby Shower! these look incredible Bev!!! and you're pictures are gorgeous! even at 7am, I want to grab a few for breakfast!! Love these photos, Bev. So gorgeous! "Eggs like the one in your uterus that became a human" HAAAA!! Bev these look amazing... like something out of a magazine-amazing! Yummy! You are too freakin' funny. I love it, Bev! There is seriously nothing i love more than a deviled egg. HAVE to try them with horseradish now!! Also, I hear they aren't so kind to belly rubbers in the "big house". I'd watch it if I were you. Love devilled eggs! Yours looks so creamy and yummy! Perfect party food! Count me in! You are hilarious! I love these eggs. 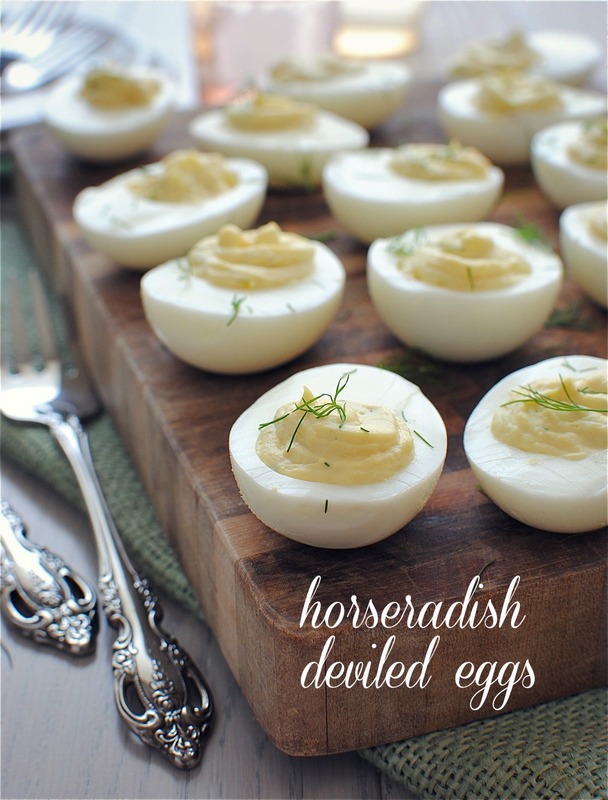 My husband loves deviled eggs and, even more, he adores horseradish. These will be a definite winner! Bahahaha! Eggs as in uterus! You kill me Bev! YOU crack me up. And, oh, Horseradish Deviled Eggs?!? Yes, PLEASE!!! nothing like a good deviled egg! delish! congrats Jenny! Horseradish is one of those things I have trouble convincing people about. I LOVE the stuff, personally. I think horseradish in the eggs is an inspired, genius idea!! These look so pretty... perfect party food! So pretty and I love the addition of horseradish!! I will try that next time I make these little beauties for a get together! I love that you made eggs for eggs :) These are some beautiful and mighty tasty-looking deviled eggs! I love the addition of the horseradish! Great idea. Bookmarking for the next party! I always put horseradish in my deviled eggs and it was my "secret" weapon. Thanks loads for "outing" me. How cute are these!!! I love putting horseradish on my deviled eggs to! Mmmm...I love the horseradish and Greek yogurt in here...these are some awesome kicky eggs! Hahaha, deviled eggs. It needed an explanation, but it makes perfect sense. Plus, they're delish, so it doesn't matter! Pickle juice and dill whaaaaat? You just opened my eyes to a whole new world of actually appetizing-sounding deviled eggs. Especially with the whole Greek-yogurt-instead-of-mayo dealio. These look SO good! 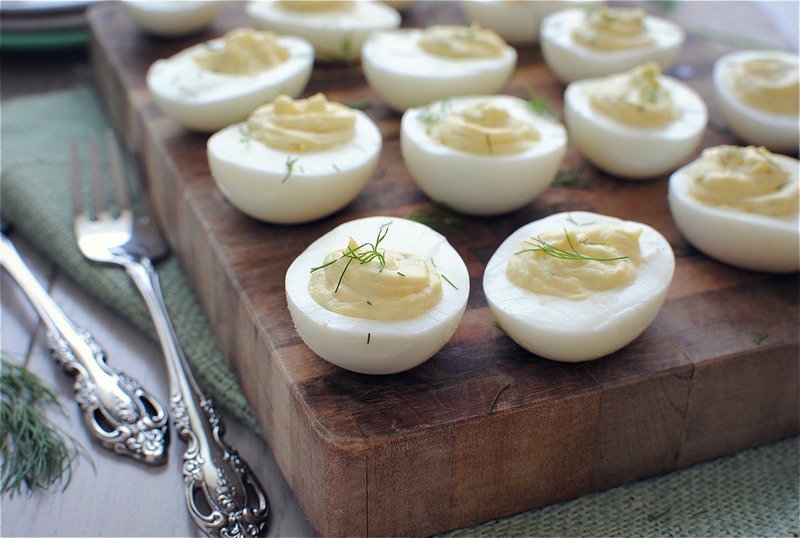 I am a huge fan of deviled eggs and cant wait to try your recipe! You got my attention when you added the pickle juice. Looks delicious! How did you get the filling to look so perfect? It usually looks sloppy when I try to make it. I kinda wanna have another baby now and have you bring these to my shower. Wrong? I think not! Ahhhh.hahahaha. Yep I totally get it....very appropriate! Love the eggs and I am sure Jenny would too! How sweet is this?! Oh you crack me up, you and your eggs ;) Can't wait to check out all the other baby shower dishes. Yeah, I will probably have way to much punch too!! The eggs look great! Thanx for putting a smile on my face with your great humor! LOVIN IT! Hahah, that's hilarious! I know what I'm making for the next baby shower I attend ;) this looks fantastic! Is there a way we can have a copy of the recipe "to Print"? Just when I was thinking about the nature of feedback I found your post through a WD facebook link. I’d been thinking about how the feedback I give has changed as my use of social media has increased. I find that I’m reading a lot, but not commenting as much. 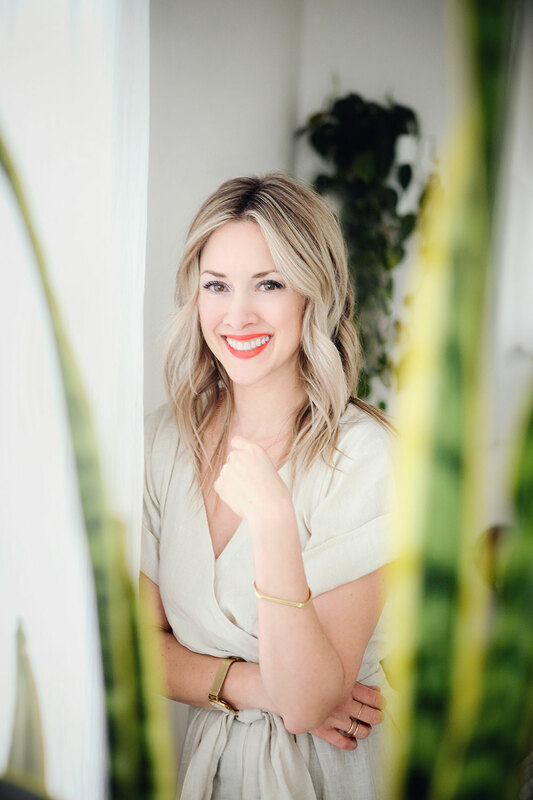 Thank you so much for such an amazing blog. I will share it with my fellow mates. I hope all these information would be helpful for them. Great post. I’ve been commenting a lot on a few blogs recently, but I hadn’t thought about my approach until you brought it up. Your post is very helpful all key is working on my pc, thanks for sharing. Amazing blog. Amazing stuff contained on this website. great admin! keep up the good work! I am a blogger. Your site give me much information. Keep it up! Your site is very successful and we like your site.. Enjoyed reading the article above , really explains everything in detail,the article is very interesting and effective.Thank you and good luck for the upcoming articles! best blog and it is very useful..thnx for sharing it.. Thanks for this helpful information I agree with all the points you have given to us. I will follow all of them. These are amazing ideas. Thanks for sharing! I’ve been surfing on the web more than 3 hours today, yet I never found any stunning article like yours. It’s alluringly worth for me. That was really a great Article.Thanks for sharing information. Continue doing this. Wonderful post. and you Nice used words in this article and beautifully post it. Thanks for sharing! I read a lot of blog posts and I never heard of a topic like this. I love this topic you made. Very ingenious! Thanks for the valuable insights. I started blogging last year and I’m loving it but just trying to get some traction with organic traffic. Keep those tips coming…..they are greatly appreciated! I just searched for your blog on WordPress, and came across this. Or, maybe you’re a unit?I just searched for your blog on WordPress, and came across this. Or, maybe you’re a unit? What an incredible post. It’s so chock full of information, and I’ve been sitting here taking copious notes. I had a blog once and became so frustrated because it wouldn’t grow so I “killed” it. But I couldn’t stay away so I started a new blog in the past year, and alas it’s barely growing, too. I tweeted your blog post. I think it will help a lot of people like me in my journey of internet Marketing. Really very happy to say,your post is very interesting to read. Writing a blog post is really important for growth of your websites.Thanks for sharing amazing tips. Following this steps will transform the standard of your blog post for sure. Enjoyed reading the article above , really explains everything in detail, the article is very interesting and effective. Thank you and good luck in the upcoming articles! I want to start a blog of travel and tourism to add my experiences with certain tours and travels that i had in past few years. I just wonder if this would be a good idea? Good selection of blogs.. didn’t go through all of them lol, when I took a look at gaps.com it had some interesting stuff, but the posts were so damn long. I got tired of reading about half way through… Anyways nice article!